Crews working on restoring gas in the Merrimack Valley, where a series of explosions devastated three towns, have announced that 18 of the 48 miles of pipes have been replaced. Columbia Gas, the gas service responsible for the pipelines involved in the explosions, said crews are working toward a Nov. 19 deadline. Victims can track the progress with a newly-released interactive map. As residents wait for gas to be restored in their homes, a new shelter in Lawrence will open Monday for displaced residents. "This is New England in October, so the weather can turn quickly," Columbia Gas spokesman Scott Ferson said. "We don't want to think at that point how to shelter people." 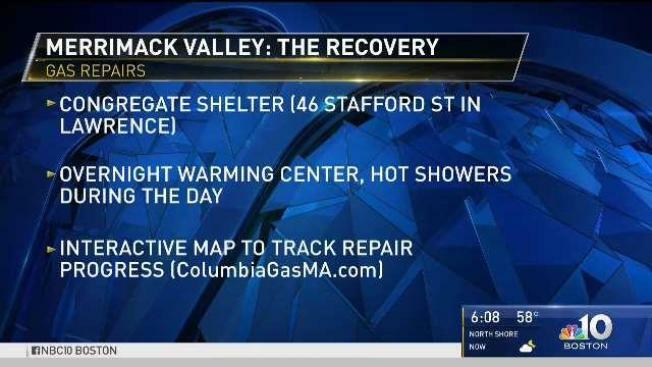 The shelter, located where the old Malden Mills was at 46 Stafford St., will offer hot showers and serve as an overnight warming center. The shelter may house more residents depending on demand and the weather. A housing program announced on Friday also aims to provide displaced residents with temporary shelters. 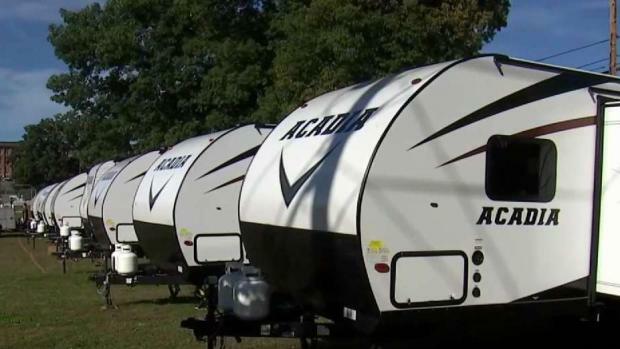 The plan includes 3,000 hotel rooms, 360 travel trailers and 150 apartments in addition to warming centers and shelters. On Sept. 13, approximately 8,600 residents in Andover, North Andover and Lawrence were displaced after explosions rattled the town and set up to 80 homes and businesses ablaze. One man died and 25 others were injured in the disaster. Since the tragedy, officials have raised more than $10 million toward a relief fund for the victims and housing assistance was offered to those who remain without gas as crews work on the pipelines.